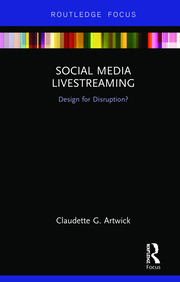 Disruptions　refers to the radical changes provoked by the affordances of digital　technologies that occur at a pace and on a scale that disrupts settled understandings and traditional ways of creating value, interacting and communicating both socially and professionally. The consequences for digital journalism involve far reaching changes to business models, professional practices, roles, ethics, products and even challenges to the accepted definitions and understandings of journalism. For Digital Journalism Studies, the field of academic inquiry which explores and examines digital journalism, disruption results in paradigmatic and tectonic shifts in scholarly concerns and prompts reconsideration of research methods, theoretical analyses and responses (oppositional and consensual) to such changes, which have been described as being akin to ‘a moment of mind blowing uncertainty’. 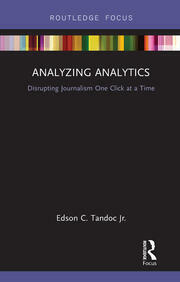 Routledge’s new book series, Disruptions: Studies in Digital Journalism, seeks to capture, examine and analyse these moments of exciting and explosive professional and scholarly innovation which characterize developments in the day to day practice of journalism in an age of digital media, and which are articulated in the newly emerging academic discipline of Digital Journalism Studies.